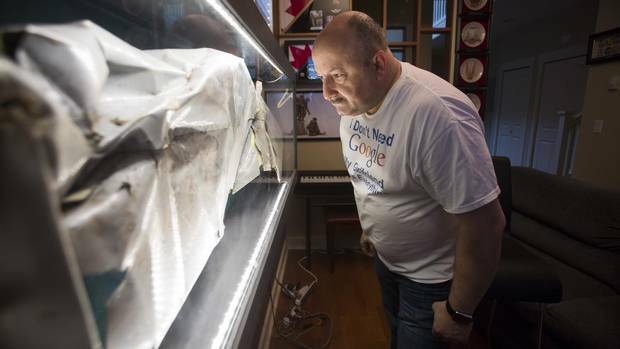 Jean-Pierre Forest is pictured in his home near a piece of the plane that he was in when it crashed leaving him with a brain injury in Richmond, British Columbia on March 24, 2016. Jean-Pierre Forest’s 1,857th skydive ended in disaster. Mr. Forest was one of eight people on board a Beech King Air when it crashed in a cranberry field in August, 2008, about 400 metres west of Pitt Meadows airport. The Transportation Safety Board of Canada found the left engine failed as the plane climbed, and it ruled that the aircraft had been inadequately maintained. Four of the people on the plane were seriously injured. Mr. Forest alleges he suffered a brain injury, fractured vertebrae, broken ribs, a broken arm and psychological injuries. His lawsuit against the owner of the aircraft and the Attorney-General of Canada is to be heard in B.C. Supreme Court next week – and Mr. Forest’s lawyer says the case reveals a way in which aircraft operators can potentially bypass federal safety standards. A former member of the Canadian military, Mr. Forest said in an interview that his life has been forever changed by the crash. He does not remember the plane going down and spent a month in an induced coma. He said he used to hold a senior position at a firm that specializes in security cameras and surveillance, but he is now working on camera assembly and packaging. “I’m hoping that eventually maybe I’ll get back to another position that’s closer to what I was getting paid,” he said. The TSB, which released its report in 2009, found the aircraft had been registered in the United States through the Federal Aviation Administration and was operated seasonally in Canada under the North American Free Trade Agreement. Because it was registered in the U.S., the aircraft was issued a foreign air operator certificate by Transport Canada. Joe Fiorante, one of the lawyers representing Mr. Forest, said operating under NAFTA should not mean aircraft in Canada can be held to a lower safety standard. In its report, the TSB found that the regulatory oversight in place was inadequate because an inspection carried out by the FAA did not identify any of the issues that led to the crash. One of the TSB’s findings was that there could be a risk to passengers if Transport Canada did not verify that holders of foreign air operator certificates met airworthiness and operational requirements. The allegations in the case have not been proven. Mr. Forest’s notice of civil claim says Transport Canada inspected another aircraft owned by the same skydiving company in 2000 and suspended that aircraft’s operating certificate because of safety concerns. The lawsuit says that plane’s engines were well beyond the number of hours they can fly before they must be overhauled. The notice of civil claim alleges the company then turned to the United States and began receiving certificates of authorization from the FAA in 2001. In a statement, Transport Canada wrote that it is limited in what it can say about the matter since it is before the courts. It noted the TSB report says Transport Canada has taken some action on foreign air operator certificates, including better notification about such operations for regional departments. Transport Canada said there are currently 33 U.S. air operators with approved foreign air operator certificates “for the conduct of specialty air services in Canada. As seasonal parachuting operations have not yet started in Canada, it is difficult to predict how many applications are likely to be received for 2016,” it said. The skydiving flight was operated by Pacific Skydivers Ltd. The company was owned by Flanagan Enterprises Inc., which is a defendant in the lawsuit. The owner of Flanagan Enterprises could not be reached for comment. The Bill Dause Beech 65-A90 King Air (United States registration N17SA, aircraft serial number LJ-164) took off from Pitt Meadows Airport, British Columbia, with the pilot and seven parachutists for a local sky diving flight. At 1521 Pacific daylight time, as the aircraft was climbing through 3900 feet above sea level, the pilot reported an engine failure and turned back towards Pitt Meadows Airport for a landing on Runway 08R. The airport could not be reached and a forced landing was carried out in a cranberry field, 400 metres west of the airport. On touchdown, the aircraft struck an earthen berm, bounced, and struck the terrain again. On its second impact, the left wing dug into the soft peat, spinning the aircraft 180 degrees. Four of the parachutists received serious injuries and the aircraft was substantially damaged. There was no fire and the occupants were evacuated. The emergency locator transmitter functioned at impact and was turned off by first responders. The aircraft was climbing west, away from the Pitt Meadows Airport, at 110 knots when there was a bang. The aircraft shuddered and yawed to the right. The nose was lowered to a level flight attitude, the right engine (a Pratt & Whitney Canada [PWC] PT6A-20) was shut down, and the pilot turned the aircraft left towards Pitt Meadows. The airspeed was indicating 130 knots. The left engine power lever was advanced to maximum, but there was no corresponding rise in torque (power). Left engine torque decreased until all engine power was lost. In an attempt to restart the engines, both engine auto-ignition switches were selected ON. The restart was unsuccessful. The nose was lowered to maintain airspeed, but the airport could not be reached. The aircraft touched down in a flat cranberry field bordered by three-foot-high berms. On landing, the aircraft struck several of the many concrete irrigation culverts that lay on the edge of the berm. The accident site is located adjacent to the Pitt Meadows Airport at 49°13'15" N, 122°43'45" W, at an elevation of about 10 feet above sea level. The Department of Hydrology and Meteorology, as well as the Air Traffic Control tower, often provide wrong aviation meteorology information to pilots though meteorological observations and reports for air navigation have a direct link to aviation safety. Talking to this daily, the pilots said they constantly got misleading meteorological information from the service providers. “Tower informed us that there was some 3 km of visibility this morning but DHM’s update showed it to be less than 1.5 km while Kathmandu was engulfed by haze,” a senior captain told this daily recounting the communication with the air traffic control tower at Tribhuvan International Airport. Wrong transmission of such sensitive information could invite disaster, he said. The pilots who mainly fly Boeing 757-200 need at least 2.8 km of visibility for landing at TIA. Not only at TIA, pilots have also been facing a tough time at Lukla-based Tenzing Hillary Airport while they prepare for landing at the world’s most dangerous airport. “Information being provided by Lukla tower is not sufficient and is often miscalculated and misleading,” said a domestic airlines pilot who flies daily to Lukla with climbers and trekkers on board. According to him, there is an urgent need for CAAN to monitor whether their staff in Lukla follow standard operating procedures or not. The pilots have noted serious deficiencies in the quality of aviation meteorology services though the official aeronautical information publication for Nepal, issued by Civil Aviation Authority of Nepal, specifies that the high quality and timely services are rendered in accordance with the provisions of Annex 3: Meteorological services for international air navigation of the International Civil Aviation Organization. Apart from a problem in measuring observation and reporting various parameters, including wind speed, wind direction, pressure altitude, temperature, dew point and runway visual range, a senior captain claimed that the information on aviation weather provided by tower and DHM was often contradictory. DHM’s Director General Rishi Ram Sharma, however, claimed that the department, with its limited resources, was providing high-quality service abiding by the standard operating procedures. “But, most of the pilots never attend Met briefing before flying aircraft,” he accused. Senior CAAN officials, as well as TIA tower controllers, refused to comment on pilots’ concerns. Air traffic in and out of Wanaka Airport has been disrupted after a wartime Harvard was involved in a minor crash this morning. The North American AT-6 Harvard 2A was taking off towards the west when it veered off the runway on to the grass where its undercarriage collapsed. It ended up sitting on its fuselage on grass next to the main runway. The two pilots on board walked away uninjured, police said. Emergency services, initially concerned about fire, have now left the scene. Warbirds Over Wanaka International Airshow general manager Ed Taylor told the Otago Daily times he did not know what went wrong but was grateful no one was injured. Some light aircraft have been able to take off on a shortened runway but there are still several others unable to leave. Attempts are being made to move the crashed plane away from the runway using a truck with a crane hoist. The ODT has received reports of a second Harvard involved in an incident earlier this morning. It is understood the Harvard abandoned its take off after one wing tip touched the tarmac. Emergency services have arrived at a plane crash at Wanaka Airport involving an aircraft believed to have taken part in the Warbirds Over Wanaka event. Two people were uninjured in the crash, which happened during an attempt to take off in a North American AT-6 Harvard 2A aircraft about 9.30am. Senior sergeant Craig Brown, of the Southern District Command Centre, said the "Harvard plane has crashed on landing and has ended up skidding to the side of the runway. "The plane was carrying the pilot and one other occupant who were both uninjured. "The cause of the crash is at this stage unknown," Brown said. Fire fighters from Luggate and Wanaka were responding to the callout but it was not believed the aircraft caught fire. A fire spokesman confirmed they were in attendance, but referred all questions to police. Warbirds Over Wanaka general manager Ed Taylor​ said it was thought the incident resulted from a mechanical fault with a wheel. The Civil Aviation Authority have been notified of the incident. Thousands of people turned out for the three-day Warbirds show, which finished on Sunday. On March 27, 2016, about 1636 eastern daylight time, a Piper PA-23-250, N22AM, was substantially damaged during a forced landing to a highway near Danville, Virginia. The private pilot sustained minor injuries and the three passengers were not injured. The airplane was privately owned and operated under the provisions of 14 Code of Regulations Part 91 as a personal flight. Instrument meteorological conditions (IMC) were reported in the area of the accident. No flight plan was filed for the personal flight that originated at the Charleston International Airport (CHS), Charleston, South Carolina, about 1330, and was destined for Martin State Airport (MTN), Baltimore, Maryland. According to air traffic control (ATC) transcripts, before departure the controller advised the pilot of 700 ft cloud bases and asked him if he was instrument flight rules qualified. The pilot stated that he was, but the airplane was not, and that he wanted to depart under visual flight rules. Shortly after takeoff the pilot had difficulty maintaining his ATC-assigned headings and stated he was "between layers." About 90 minutes into the flight the controller asked the pilot if he was returning to his destination, the pilot replied "no, I'm in the middle of the clouds, what's my current heading?" The controller then asked if he needed assistance, and the pilot stated that he did not and that he would make a turn to get back on course. The pilot then notified ATC that he had an intermittent engine and requested to divert to the nearest airport. A few minutes later, the pilot advised ATC that both engines were functioning again. The pilot was repeatedly unable to maintain a heading and began receiving no-gyro radar vectors. The controller asked the pilot if he could determine if he had a vacuum failure, the pilot stated, "how would I do that?" The controller made repeated requests to the pilot to maintain altitude and the pilot then reported to ATC he was in IMC and to "help me all you can." About 2 hours into the flight the pilot elected to divert to Roanoke-Blacksburg Regional Airport (ROA), Roanoke, Virginia. About 2 hours 30 minutes into the flight the pilot reported "mayday mayday I've just lost my engines." The pilot later stated he was using an application on a personal electronic device to navigate. The pilot reported that the flight departed with 5 hours of fuel onboard for the estimated 2-hour, 30-minute flight. After switching fuel tanks, and turning on the fuel pumps, power was briefly restored to the right engine, followed by an abrupt loss of power in both engines. The pilot then performed a forced landing on the highway. During the landing, the airplane impacted a tree, and came to rest inverted in a grassy area along the road. Photographs of the wreckage taken by a Federal Aviation Administration inspector revealed damage to both wings and fuselage, the airplane came to rest inverted. The right wing, outboard of the right engine was folded under the right engine, and the right wing tip separated from the wing, along with the right outboard fuel tank. Examination of the wreckage and engine revealed impact damage to the right engine, the left engine was undamaged. No fuel was found in the right fuel tanks, which were compromised during the impact sequence. The left inboard fuel tank had a trace amount of fuel, and there was no blighting of the grass around the wreckage. Fuel lines from the left and right fuel pump to the fuel injector were secure and intact, no fuel was observed when the lines were disconnected from the fuel flow transducer. Fuel lines from the left and right output fuel injector to the input fuel flow divider were secure and intact, no fuel was observed when the lines were disconnected. Due to the lack of integrity of the right fuel tanks, and the minimal quantity of fuel in the left tanks, the quantity of fuel when the accident occurred could not be determined. The airplane was equipped with two Lycoming TIO-540, 250 horsepower, six-cylinder piston engines. The right engine No. 1 cylinder rocker cover and connecting rods sustained impact damage, separating them from the cylinder. A borescope was used to examine the cylinder, the exhaust valve head was laying inside the cylinder, preventing full 360-degree manual rotation. Valve train continuity was established on cylinder Nos. 2, 3, 4, 5, and 6. On the left engine, the rocker covers were removed, none of the rockers, valve springs, and valve seats showed any signs of preimpact mechanical damage. The engine was manually rotated, continuity of the drive train, crankshaft, and camshaft were established, and thumb compression obtained on all cylinders. The magnetos were placed on a test stand, all six leads on each of the four magnetos produced a spark. The left and right vacuum pumps thrust coupling were fractured, and exhibited rotational scoring consistent with the pumps failing and continued operation of the engines. The airframe and engine logbooks were not available for review; however, the mechanic who inspected the airplane about 3 weeks before the accident provided a statement. He reported that the engines, propellers, and airframe were inspected in accordance with an annual inspection. He stated that the airplane was taxied around the airport for several hours, and that all systems were tested for proper operation. The closest weather reporting facility was Danville Regional Airport (DAN), Danville, Virginia, about 14 miles east of the accident site. At 1653, weather included wind from 080 at 5 knots; visibility 9 statute miles; clouds and sky condition, overcast at 400 ft; temperature, 13° C; dew point, 12° C; and altimeter setting 30.14 inches of mercury. The pilot did not obtain a weather briefing before departing. The pilot's total flight experience at the time of the accident could not be reconciled. At the time of his most recent application for an FAA medical certificate on June 30, 2015, he reported 2,200 total hours of flight experience. Injuries: 1 Minor, 3 Uninjured. 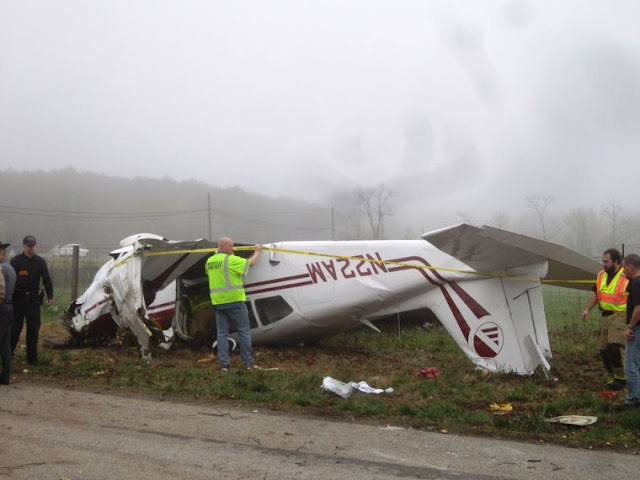 On March 27, 2016, about 1636 eastern daylight time, a Piper PA-23-250, N22AM, was substantially damaged during a forced landing to a highway 10 miles east of Danville, Virginia. The private pilot sustained minor injuries, the three passengers were not injured. The airplane was operated by a private individual under the provisions of 14 Code of Regulations Part 91 as a personal flight. Instrument meteorological conditions were reported in the area of the accident. No flight plan was filed for the personal flight that originated at the Charleston International Airport (CHS), Charleston, South Carolina, at about 1330, and was destined for Martin State Airport (MTN), Baltimore, Maryland. The pilot stated that the flight departed with 5 hours of fuel onboard for the estimated two and a half hour flight. After about one hour the pilot reported to air traffic control that he had lost his directional gyro and attitude indicator. While diverting to Roanoke-Blacksburg Regional Airport (ROA), Roanoke, Virginia, the right engine abruptly lost power. After switching fuel tanks, power was briefly restored to the right engine, followed by an abrupt loss of power in both engines. The pilot then performed a forced landing on the highway. During the landing, the airplane impacted a tree, and came to rest inverted in a grassy area along the road. On scene examination of the wreckage by a Federal Aviation Administration inspector revealed damage to both wings and fuselage. The right wing, outboard of the right engine was folded up over the right engine, and the right wing tip separated from the wing, along with the right outboard fuel tank. Damage to the right engine precluded a cursory check for continuity of the powertrain, and there was no evidence of rotational damage to the propeller. Functional testing of the magnetos for both the right and left engines showed spark at all terminal leads. Thumb compression was obtained on all but one of the left engine cylinders. One blade of the left propeller displayed a curled tip. No fuel was found in the right tanks, the left inboard tank had residual fuel, and there was no blighting of the grass around the wreckage. 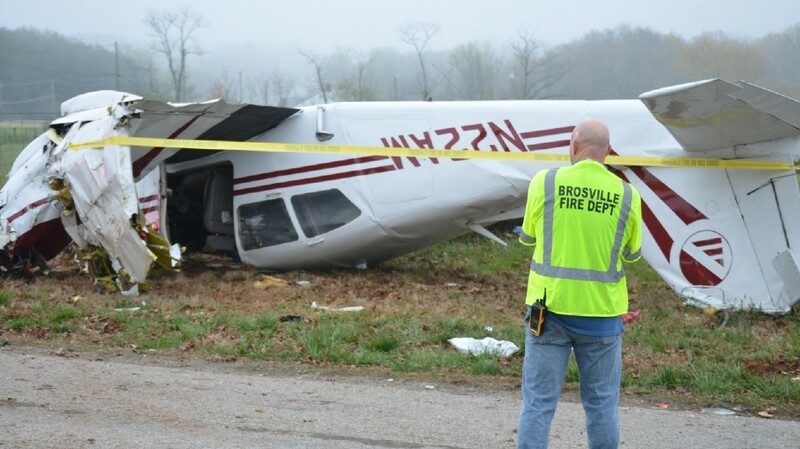 The closest weather reporting facility was Danville Regional Airport (DAN), Danville, Virginia, about 14 miles east of the accident site. At 1653, weather included wind from 080 degrees at 5 knots; visibility 9 statute miles; clouds and sky condition, overcast at 400 feet; temperature, 13 degrees C; dew point, 12 degrees C; and a barometric altimeter setting of 30.14 inHg. The airplane and engine were recovered and retained for further examination. 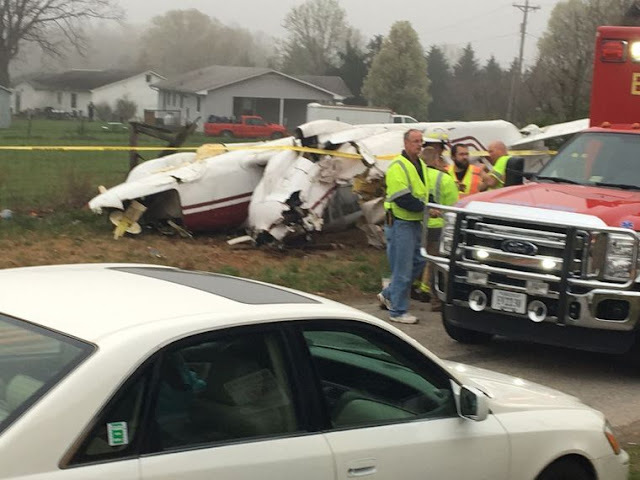 PITTSYLVANIA COUNTY (WSLS10) – State police have identified the pilot of the crashed twin-engine plane as Stephen C. Lloyd of Lexington, S.C. Moments before the plane crashed at about 4:30 p.m. Sunday, Lloyd reported that the plane was starting to lose power and declared an emergency. Rebecca Vaughn witnessed the crash and said that it sounded like a train coming through. “I saw the plane just go behind the building and then the crash,” Vaughn recalled. Bob Collie came out Monday to see the crash. He has some flying experience and said because of the low power lines, homes nearby and all of the trees, he gives Lloyd a lot of credit for being able to get the plane down and keep everyone safe. The three passengers were not hurt and Lloyd only suffered minor injuries. 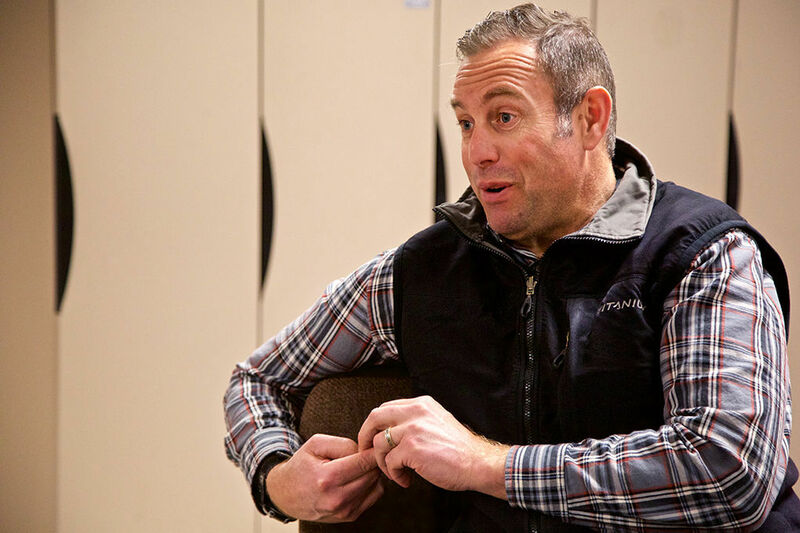 “Other people were dealing with the pilot and the father, making sure they were okay, so I was just with the kids making sure they weren’t cold or anything like that,” Vaughn explained. The FAA investigators would not speak on camera Monday, but said that a salvage company will pick up the plane and then the regional National Transportation and Safety Board office will decide where they want the plane to be taken so that the NTSB can conduct an investigation. As of Monday afternoon, neither state police nor the FAA or NTSB had released the names of the father and two children on the plane. 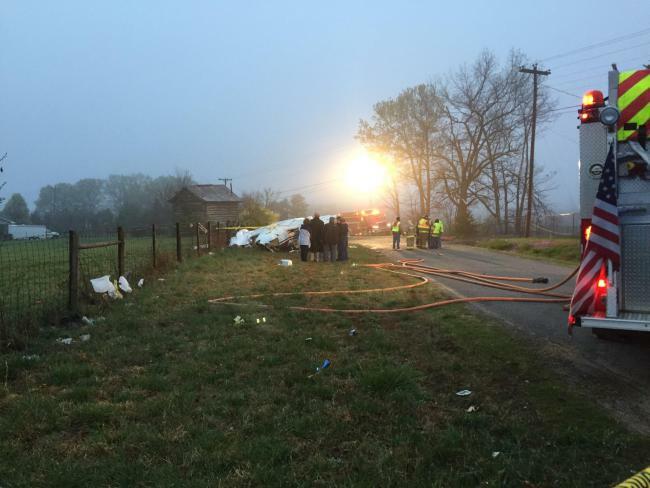 PITTSYLVANIA COUNTY, Va. (WRIC/WSLS) – Virginia State Police are releasing more details about a small plane crash. EMS crews said the crash happened around 4:30 p.m. near Long Circle Road at Martinsville Highway. Police said the plane departed from Charleston, S.C. and was heading to Maryland. Shortly before the plane crashed, the pilot radioed into authorities about an in-flight emergency. Four people, including two children, were on board the Piper PA-23-250 Aztec D plane at the time of the crash, according to 8News sister station WSLS. Only the pilot was injured. The pilot was transported for treatment of non-life threatening injuries. The FAA is responding to the scene Monday to investigate. PITTSYLVANIA COUNTY (WSET) -- Virginia State Police say the Piper PA-23-250 Aztec D, carrying four people, crashed around 4:30 p.m. Sunday in Pittsylvania County. 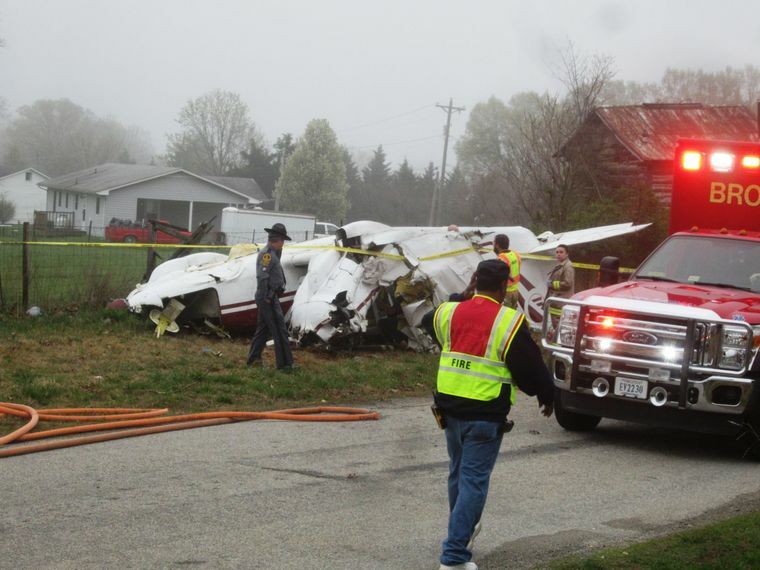 They say the Piper PA-23-250 Aztec D plane made a crash landing near Martinsville Hwy. and Long Circle Road in the community of Cascade. The pilot was transported to a nearby hospital for treatment of minor injuries, and the three passengers on-board were not injured according to officials. The FAA and NTSB have both been notified. The investigation into the cause of the crash is ongoing at this time. 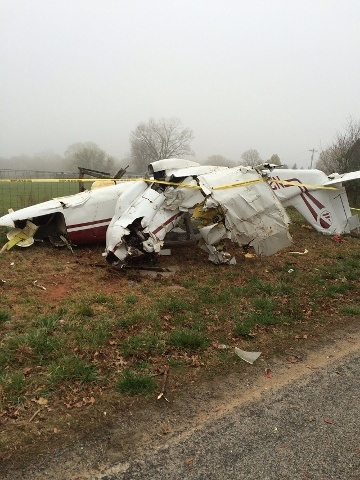 PITTSYLVANIA COUNTY (WSET) -- Firefighters tell ABC 13 four people were inside that plane, including the pilot. The pilot was taken to an area hospital. The three passengers are expected to be okay. State police responded to the scene along with local fire and rescue and they're still out there right now. PITTSYLVANIA COUNTY (WSET) -- State Police say crews are responding to what may be a small plane crash near Danville. Emergency dispatch did confirm that State Police and local fire and rescue crews have been sent to the scene. We're getting reports that the plane may have gone down in the area of Route 58 and Long Circle Road. We are following a breaking news out of Pittsylvania County. 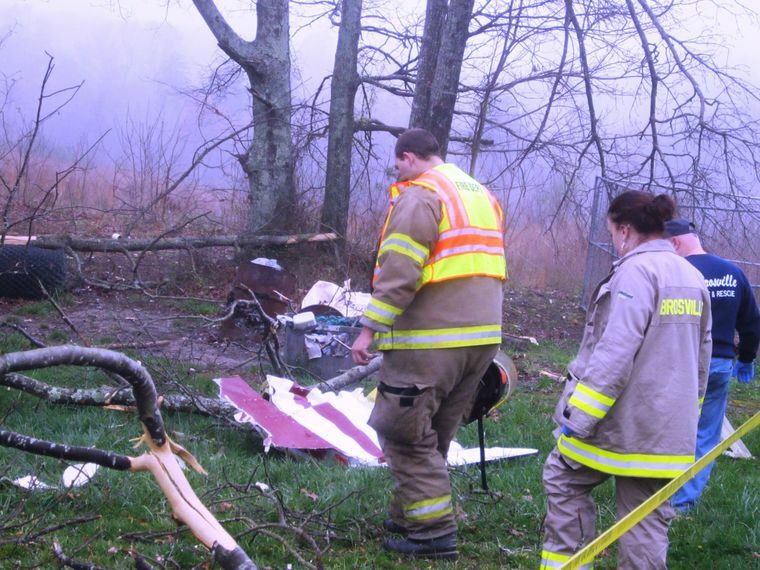 Virginia State Police have confirmed that a small plane crashed Sunday afternoon. The pilot was injured and taken to the hospital. Two children and another adult onboard were not seriously hurt. 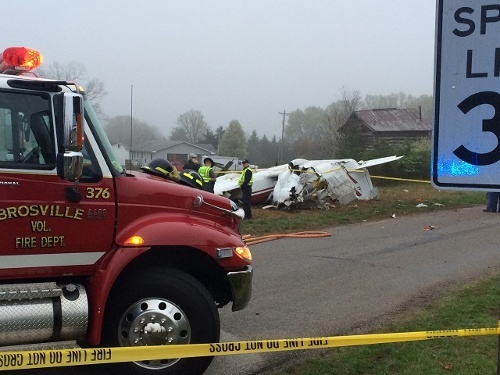 The plane crashed in the Brosville area, west of Danville, just off of Route 58. We're told the plane reported that the plane lost power before it crashed. The pilot tried landing the plane in a field, but on the way down he hit some trees. The pilot is the owner of the plane. He sustained lacerations. The plane was flying from Charleston, South Carolina to Hyattsville, Maryland. The NTSB and FAA are aware of the crash and are coordinating a response. The accident happened around 4:30 p.m. Sunday. The area where the plane went down was near Long Circle, which is in the Cascade community. A small plane crashed shortly before 5 p.m. just off Martinsville Highway at Long Circle in Cascade. Arlethia Campbell said she and her family returned home to 1009 Long Circle to find the small plane, upside down in the street in front of her house. Trees in the yard had been broken, and branches and parts of the plane were strewn across the yard. Her mailbox was gone. A neighbor, Junior Scales, said he saw four people get out of the plan, two adult males and two children. One of the adult males was taken away in an ambulance, Scales said. Virginia State Police Sgt. J. Doss said it would take some time to issue a full report on the crash, but that he admired how the pilot tried to land it. Virginia State Police released more information Monday morning on the small plane crash Sunday afternoon in Cascade. The plane was flying from Charleston, South Carolina, to Baltimore, Maryland, when the pilot began experiencing problems with the aircraft losing power, according to a news release from the Virginia State Police. Virginia State Police received the call of the crash at 4:38 p.m. Sunday. The pilot, Stephen C. Lloyd of Lexington, South Carolina, was transported to a nearby hospital for treatment of minor injuries. The three passengers on board were not injured. 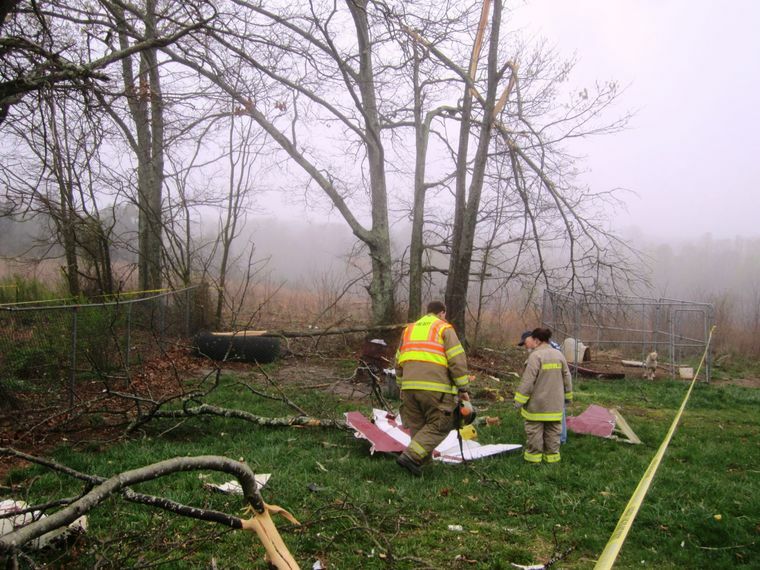 A small red and white plane crashed just off Martinsville Highway on Long Circle in Cascade shortly before 5 p.m. Sunday, drawing Virginia State Police and several Pittsylvania County volunteer fire departments to the scene. Arlethia Campbell said she and her family returned home to 1009 Long Circle to find the small plane, upside down in the street in front of her house. 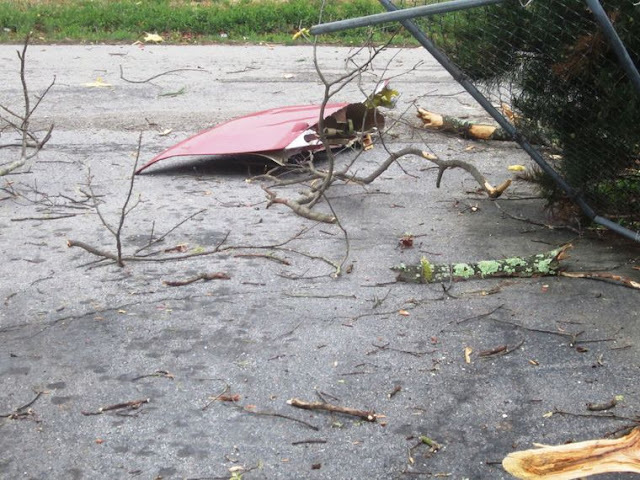 Trees in the yard had been broken, a section of fence was twisted and branches and parts of the plane were strewn across the yard and her driveway. Her mailbox was gone. A neighbor, Junior Scales, said he saw four people get out of the plane, two adult males and two children. One of the adult males was taken away in an ambulance, Scales said. The pilot was transported to a nearby hospital for treatment of minor injuries, according to Corinne Geller with the Virginia State Police. The three passengers onboard were not injured. Virginia State Police Sgt. J. Doss said it he could not comment on the crash until the investigation was completed, but that he admired how the pilot tried to land the plane. The Federal Aviation Administration and the National Transportation Safety Board have both been notified, Geller said. For decades aviation special interests have been in a standoff on these key questions, with political intrigue and shifting alliances reminiscent of the Corleone and Barzini families in “The Godfather.” As a lobbyist I’ve argued, at one time or another, against both extremes. One side includes private pilots and corporate jet owners. They want to keep the long-standing model of FAA governance, funded by taxes, tacked on to each airline ticket, totaling $13.5 billion a year. But the aviation intelligentsia—think tanks, officials in the Clinton and Bush administrations and, now, most airlines—argues for turning over air-traffic control to a quasi-public nonprofit corporation. As the debate plays out, look-alike political groups—“American Travelers for Something or Other”—will take to the airwaves, each touting a high-tech, tax-free, eco-friendly cure for what ails air travel. Things are not so simple. The FAA performs a minor miracle every day by keeping planes on 80,000 flights from running into one another. Managing change, however, isn’t the agency’s core competency. The FAA’s Kafkaesque bureaucracy is so constricting that a former administrator once privately complained that he lacked the authority to hire a secretary. Not a deputy secretary or an assistant secretary: a regular secretary to answer the phones. The point man in Congress is Rep. Bill Shuster (R., Pa.), chairman of the House transportation committee, who seeks “transformational change.” Mr. Shuster backs a bill to transfer air-traffic control from the FAA to a new quasi-public body. Initially it seemed as if this bold plan would go through. But now, despite bipartisan frustration with everything airline, it has been sent to the shop for repairs. The industry association Airlines for America supports Mr. Shuster’s move, as do all the name-brand carriers except Delta. They want to govern the infrastructure that they use. For instance, it will cost millions over the next five years to equip jets with gussied-up GPS technology, required by an FAA mandate. In theory, this will allow planes to fly more precise paths, potentially saving time and fuel. But savvy airline executives, burned by decades of FAA stops and starts, worry that a government-run air-traffic control system will lack the funding and business acumen to make the most of the technology. Previous attempts to spin off air-traffic control failed because Democrats sided with organized labor—notably, the 15,000-member National Air Traffic Controllers Association. President Reagan busted its predecessor in 1981, but the millennial controllers hired since have resurrected its political power. When federal budget sequestration in 2013 threatened the FAA with a 10% across-the-board furlough—closing air-traffic towers and cutting shifts—the union went into action. Congress, spooked by the threat of airport delays and planes circling over Chicago and New York, voted overwhelmingly to reverse the cutbacks. 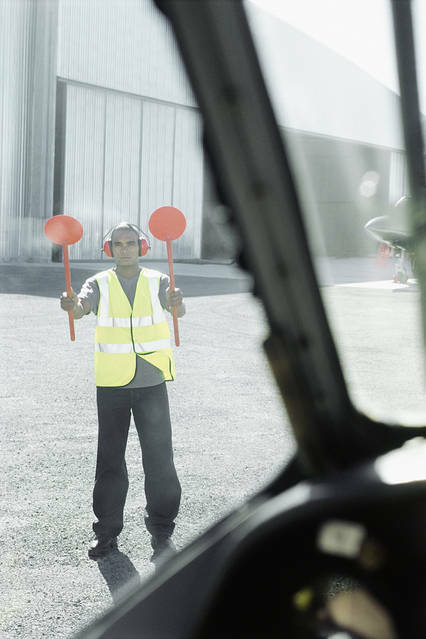 No FAA-related legislation gets off the ground without union clearance. This time the union is backing privatization. Why the change of heart? The unions are afraid of future congressional budget battles, and they know they’ll get a reliable stream of funding from industry. Controllers are sick of waiting for technology and tower upgrades. And they talk to their counterparts in other countries and hear what a good deal it is. Canada and several other Western democracies have already successfully transferred their government air-traffic systems to industry control. Those opposed to the Shuster bill include companies that fly business jets, who fear that any system controlled by the big airlines might force them to pay higher fees and wait at the back of the arrival queue at busy airports. Since corporate jets have few political friends, they rely on the muscle of the Aircraft Owner and Pilots Association, the “NRA of the Skies,” and its 400,000 passionate, mostly recreational private pilots. But the Shuster bill, in an effort to quiet AOPA’s activists, grants small planes a hall pass from new fees and airspace restrictions. Neither side will—or should—play the safety card. Flying has never been safer. The last fatal U.S. airline accident was in 2009. Your chances of being killed in an airplane crash are one in nearly 100,000, according to the National Safety Council, as opposed to one in about 100 in a car crash, or one in roughly 50,000 by a bee sting. You’ll know who’s losing the air-traffic debate if one side starts to claim that the other guy’s position jeopardizes public safety. Whatever happens, passengers are unlikely to notice. Planes will take off and land, delays (however mitigated) will persist at busy metropolitan airports, and the hidden costs for air-traffic control will be cooked into the mulligan stew of airline fares. The only other crew guaranteed to come out of this turf war unscathed: my old pals in the family business, airline lobbying. Mr. Cohen was formerly an executive at the Regional Airline Association, the Aircraft Owners and Pilots Association, and Airlines for America. PORTLAND, Ore. – Family members of the two men who died nearly two years ago in a crash in Newberg are suing a flight training facility for negligence. Student pilot 29-year-old Kristian Blackwell and his instructor, 31-year-old Anthony Gallerani, both died on July 1, 2015 in a crash during a routine night training flight. About 15 minutes into a "night orientation" training flight, the 2004 Schweizer 300c helicopter went down in a field near the Chehalem Airpark and Precision Aviation Training - the company that owned the helicopter. Gallerani was flying the helicopter. Attorneys representing Blackwell’s family filed a lawsuit May 22 against Precision Aviation Training seeking more than $8 million in compensation. The lawsuit claims that Gallerani became a certified flight instructor just 40 days before that night orientation flight. The suit further alleges that the company was negligent by letting “an inexperienced instructor” fly with Blackwell. Family members of Gallerani filed a suit on June 1 that claims the company was negligent in hiring staff that was adequately trained and supervised to perform helicopter inspections and maintenance, which ultimately caused the crash. The company replaced the "short shaft" - a part that sends power from the engine to the rotor system - about a month before the flight. The suit also claims that the crash could have been because the part was improperly installed. Precision employees weren't adequately trained or supervised on helicopter maintenance and inspections. The family is seeking economic and general damages "in amounts to be proven at trial." We have just learned that the Complaint was filed. Everyone here at Precision remains very saddened by the loss of Mr. Blackwell and Mr. Gallerani, we all lost a friend and a colleague. It was an emotional and challenging period for us at Precision and the families involved. Our hearts go out to the family and friends of Anthony Gallerani. We had timely cooperation with the NTSB on all matters that pertain to the accident. Because now there is a pending lawsuit we cannot provide any additional comments as to the filing made by the Galleranis but know we respect their family very much. The instructor and student were conducting a night orientation flight. According to a witnesses who worked for the operator, about 15 minutes after the helicopter departed, he heard what sounded like an engine rollback and the helicopter making an autorotation. This was followed by the sound of an increase in engine rpm and the drive belts squealing, culminating with the sound of the helicopter making a loud thud-type noise. Another witness stated that the engine sounded rough and that the helicopter was making a high pitch whining/squealing sound, after which it went silent. A third witness also heard the helicopter making high pitch noise just before the accident. The helicopter was subsequently located in an open field near the departure airport; a postcrash fire erupted, which consumed the helicopter. A postaccident examination of the lower coupling drive shaft showed evidence of severe wear completely around the forward spline that extended beyond the root of the spline teeth. Severe wear of the forward spline teeth could have been caused by a loss of alignment between the engine and the drive shaft or an inflight loss of lubrication in the rubber boot. The rubber boot that retains grease for the forward spline portion of the drive shaft was not recovered and was presumed missing. Loss of grease coverage for the forward spline, either from a rupture of the rubber boot or a loss of the clamp for the rubber boot, could cause sudden inflight wear and overheating of the spline teeth. Severe wear of the forward spline portion of the lower coupling drive shaft most likely led to sudden and complete loss of translational/rotational power between the engine and the transmission. The reason for the severe wear of the forward spline could not be definitively determined due to fire damage and the loss of associated components, which were not located during the investigation. The loss of translation/rotational power between the engine and the transmission due to the severe wear of the forward spline portion of the lower coupling drive shaft. The reason for the severe wear of the forward spline could not be definitively determined due to fire damage and the loss of associated components, which were not located during the investigation. On July 1, 2015, about 2215 Pacific daylight time, a Schweizer 269C helicopter, N2096W, was destroyed by impact forces and a postcrash fire as a result of a hard landing during an emergency autorotation near the Chelaham Airpark (17S), Newberg, Oregon. 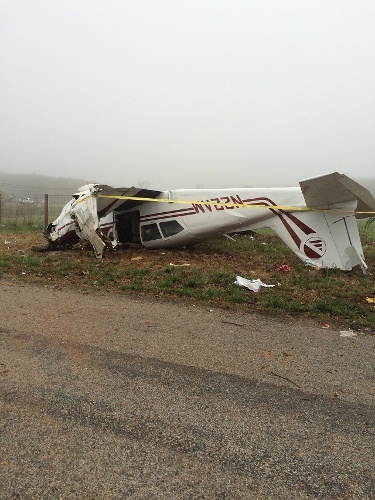 The certified flight instructor (CFI) and student pilot received fatal injuries. The helicopter was owned by Precision Flight Training Incorporated, of Newberg, and operated by Precision Aviation Training, LLC, also of Newberg. Visual meteorological conditions prevailed at the time of the accident. The local instructional flight was being operated in accordance with 14 Code of Federal Regulations Part 91, and a flight plan was not filed. The operator reported the flight departed 17S about 2200. During the postaccident investigation, the company's Director of Operations revealed to the National Transportation Safety Board (NTSB) investigator-in-charge (IIC), that the purpose of the instructional flight was for student night orientation. In a statement provided by a mechanic/witness who had worked for the operator for about three years, the witness reported that he observed the helicopter take off about 15 minutes prior to the accident. It then departed to the northwest, and when it was about 500 feet above ground level he heard the engine roll back, followed by the helicopter making an autorotation. The witness stated the he heard the engine rpm increase and the drive belts squeal, then heard the helicopter make a loud thud. The witness opined that he knew the helicopter was in trouble because of how low it was. Further, he recalled that the engine sounded normal during the flight, including the autorotation, and that the only thing he heard before the crash that raised his concern was the squealing belts. In a telephone interview with the NTSB IIC, a second witness reported that at the time of the accident he was in his home with the windows open, and the helicopter passed his residence very, very low. He said the engine sounded rough, somewhat like the sound cards make in bicycle spokes, and that it went by very fast toward the south. He further stated that the helicopter was making a high pitch whining/squealing sound, after which it went silent. He heard it hit, and then called 911. The witness added that he drove to the accident site, which was just a short distance away, and said that the fire started right away, right after it hit the ground. It a written statement submitted to the NTSB IIC, a third witness, also an employee of the operator, reported that at about the same time as the accident, he heard a high-pitched noise like ungreased belts on a car, followed by a loud sound similar to a backfire. About five minutes later he was advised of the accident. A postaccident examination of the accident site by the NTSB IIC and a Federal Aviation Administration (FAA) aviation safety inspector, revealed that while the helicopter was on a left downwind leg for the departure airport, the flight crew experienced an inflight anomaly, which was followed by an emergency descent and a hard landing. The helicopter impacted a harvested wheat field on a magnetic heading of about 173 degrees, and came to rest on a magnetic heading of about 355 degrees, and about .75 nautical miles northwest of the departure airport. The first point of impact was located about 27 feet north of the main wreckage site. A postcrash fire subsequently erupted, which consumed the helicopter. The helicopter was recovered to a secured location for further examination. The CFI, age 31, possessed a commercial pilot certificate with rotorcraft-helicopter, and instrument helicopter ratings. He also possessed a flight instructor certificate with rotorcraft-helicopter, and instrument rotorcraft ratings. The CFI's most recent flight review was successfully accomplished on March 13, 2015, and his most recent second-class airman medical certificate was awarded on August 28, 2014, with the stated limitation, "Must wear corrective lenses for near and distant vision." A review of the CFI's personal flight records revealed that he had accumulated a total flight time of 354.6 hours, 278.1 hours in the same make and model as the accident helicopter, and 123.7 hours of flight instruction given. Additionally, the CFI had accumulated 122.5 hours, 66.8 hours, and 3.8 hours in the last 90 days, 30 days, and 24 hours respectively. The CFI was given a company evaluation flight by the operator on February 9, 2015, and a company Federal Aviation Regulation Part 141 check ride on March 13, 2015. The CFI began performing flight instructor duties for the operator on April 22, 2015. This was the CFI's initial employment as a flight instructor. According to records provided by the operator, the PUI, age 29, received his student pilot certificate concurrent with his airman third-class airman medical certificate on April 17, 2015, with no limitations. According to the PUI's personal flight logbook, he had logged a total of 41.6 hours of flight time, of which 38.4 hours were in helicopters, 6.0 hours was as pilot in commend/solo flight time, and 35.8 hours were in the same make and model as the accident helicopter. Additionally, the PUI had flown 32.0 hours and 19.1 hours in the preceding 90 days and 30 days respectively. The helicopter, N2096W, serial number S1865, was manufactured in 2004. It was powered by a Lycoming HIO-360-D1A reciprocating engine, serial number RL-7497-51A, rated at 190 horsepower. According to the operator, the engine had accumulated a total time of 3,729.2 hours, 21.9 hours since its most recent inspection, which was performed on June 22, 2015, and 849.8 hours since its last major overhaul. Additionally, the most recent 100-hour inspection was performed on June 2, 2015, at an airframe total time of 3,757.5 hours. It was also noted that the engine lower coupling drive shaft, part number 269A5559, serial number S345, was installed on this date with a total time of 5,199 hours. At 2253, the weather reporting facility at the McMinnville Municipal Airport (MVV), McMinnville, Oregon, which is located about 8.5 nautical miles south-southwest of the accident site, reported wind 260° at 4 knots, visibility 7 miles, sky clear, temperature 22°C, dew point 14°C, and an altimeter setting of 29.94 inches of mercury. The aircraft and engine were examined at the facilities of Nu Venture Air Service, Dallas, Oregon, on August 20, 2015, under the supervision of the NTSB IIC and FAA inspectors. Participants to the examination included representatives from Sikorsky Aircraft and Lycoming Engines. The results of the examinations revealed the following. Photos of the site provided by a Portland Flight Standards District Office aviation safety inspector revealed that the helicopter was severely damaged by a postcrash fire. All components appeared to be closely located to the main fuselage. The frame tubing exhibited multiple fractures, kinks and bends. It also showed it had been exposed to the fire, with all paint burned away. Both forward cluster fittings that attach the cross beam were separated from the frame tubing. Other portions of the frame were separated by fractures of the tubing or welds. The aft mast support strut was intact. The right support strut exhibited minor mid span bending, and the left strut appeared straight. All exhibited thermal damage. The tail boom was separated from the fuselage, appeared intact with minor damage, with no blade strikes apparent. The forward bulkhead attachment lug was fractured and was consistent with overload separation. There was minor fire damage to the paint on the forward end, and oily soot deposits further aft. The tail gear box adapter remained in the boom with several attach bolt holes deformed. The tail stinger was separated at the adapter. Both tail boom support struts exhibited a compression buckle at mid-span, and separated attach fittings at the center attachment to the tail boom. The horizontal stabilizer forward attach fitting was fractured. The vertical stabilizer was crushed and bent aft with vegetation remaining in the folded sheet metal. The landing gear and crossbeams were severely damaged. The aft crossbeam was largely intact, separated from the frame, and exhibited significant bending, and was fractured and separated at the right side cluster fitting; additionally, the right outboard end was burned away. All landing gear dampers were separated at one or both ends and several were burned. The left skid was fractured and separated just forward of the forward skid strut. The right skid appears to have been intact but suffered melting and burning. The support struts were separated at the crossbeam attach areas, and several suffered significant fire damage and burning. The root ends of all three main rotor blades remained attached to the main rotor head; the outer airfoils were cut away to facilitate recovery. Each blade was relatively intact, and exhibited minor impact damage. Two blades exhibited thermal damage, with some of the aluminum airfoil consumed. The main rotor head was intact and remained attached to the drive shaft. The swashplate and rotating scissor links were intact. The rotor head turned freely in the mast bearing. Both tail rotor blades were intact, with one having remained attached to the hub via the strap pack. The opposite blade had separated thru a fracture at the inboard end of the hub spindle and fractured the strap pack also. Tip damage and some airfoil compression damage was present with the separated blade tip cap gone. The pitch change links were attached, although the separated blade link was badly bent. Both blades exhibited thermal damage to the paint. The tail rotor fork and teetering bolt were intact, and the assembly teetered properly. The fork was equipped with the elastomeric bearings. The pitch control unit was intact, rotated freely, slid in and out on the pinion, and was attached to the pitch links. The control bell crank was engaged in the pitch control housing and attached to the tail gear box and the control rod. The inboard rubber boot was consumed by fire. The tail rotor gear box (TGB) remained attached to the tail boom with elongation of several of the attachment bolt holes. The TRG was rotated and exhibited continuity from the input to the TGB output. The chip detector was not examined. The tail rotor drive shaft (TRDS) was separated at the forward end from the main gear box (MGB) pinion drive spline. The retention nut exhibited damage to the flange. MGB drive adapter splines were intact. The forward TRDS splines were intact, and the cup contained grease. The forward end of the TRDS exhibited no torsional buckling with some minor tearing and flattening, and was fractured and separated at the point where it passed through the forward bulkhead. The aft spline joint at the TGB was intact, remained assembled and exhibited continuity through the TGB. The main gearbox (MGB) housing was consumed by fire. The pinion and pinion shaft bearings survived. The ring gear and support structure survived and were engaged on the lower drive splines of the main rotor drive shaft. All gear teeth were intact with no indications of breakage. The lower portion of the mast was consumed by fire. The belt drive assembly was largely gone, having been consumed by the fire. The lower pulley was intact and thermally damaged, with both bearings in proper location, and complete except for seals. The linear actuator was in the fully engaged position. The idler pulley tension cable was separated mid-span. Subsequent to an examination with a magnifying glass, it exhibited clean fresh cut marks which occurred during recovery operations. The upper pulley internal wheel was consumed by fire, while the outer ring remained intact. The over- running clutch in the upper pulley functioned properly, engaged counterclockwise (looking forward), and rotated freely clockwise when mounted on the pinion. The engine coupling shaft (short shaft) was located in the lower pulley, and was separated from the engine. The shaft was removed from the pulley, found to be intact, and appeared to be straight. The aft splined end appeared intact with no obvious damage to the teeth. The rubber grease retention boot was melted. The forward splines exhibited severe damage to the extent that they were not visibly discernable. The rubber boot was not present, although the snap ring and safety wire retention hardware remained on the shaft. The engine mounted spline adapter exhibited an external strike with minor deformation. The rubber grease boot retention clamp was observed in place. The engine mounted adapter splines were present with little damage, although there was a hard metallic deposit in the spline groove covering through about a third of the circumference It was about a quarter of an inch long, positioned about the mid-point longitudinally in the spline. The forward end of the pulley hollow shaft exhibited a deformation from internal contact with the drive shaft, bending the outer wall outboard. Several parts were retained by the NTSB IIC to be sent to the NTSB Materials Laboratory, located in Washington, D.C. The engine driveshaft, the engine mounted drive adapter, and a bag of sample grease and debris from the Impeller were retained. The helicopter was equipped with the optional 60-gallon fuel system, which is made up of an additional fuel tank mounted on the left aft of the cabin wall; plumbing is connected to the standard right side mounted tank. The tanks were breached, and exhibited significant burning. Due to impact forces and thermal damage, the throttle and mixture cables were not able to be examined. No investigation of rotation, timing or compression was possible due to the extensive postcrash thermal damage. The majority of the flight control system, which is comprised of aluminum and magnesium, was consumed in the postcrash fire. Control continuity was established for the MR swashplate input control rods to the pitch housings. The input rods ended in melted aluminum at about the same point that the mast was consumed. The steel TR pedal torque tube survived the fire, with the TR pedal arms incurring a varying degree of thermal damage. TR control continuity was established from the TR blades through the TGB mounted bell crank and control rod in the tail boom, to the forward bulkhead where the rod was fractured. The electric cyclic trim system was not located, and was presumed to have been consumed in the postcrash fire. The engine was separated from the airframe and sitting upside down on a tarp for the examination. The number 1 and 3 cylinder heads and oil sump were consumed by fire. The rear accessory case was deformed and partially consumed by fire. The engine case was deformed by heat. Both magnetos were partially consumed by fire and deformed. The fuel servo was also consumed by fire. The starter ring gear support center was broken apart. The attached fan blades were separated. The edge of the fan blade disk revealed signs of rotation at impact. The engine to airframe drive coupler shaft splines were found sheared off and ground down on the engine side. The engine drive adapter splines contained the sheared off spline from the shaft, and also had damaged splines. The cooling fan disk with the starter ring gear attached was located about 20 feet south of the main wreckage. The engine crankshaft prop flange was observed cracked in several places. No evidence was found of a catastrophic in flight engine failure. On July 2, 2015, an autopsy on the flight instructor was performed at the Office of The State Medical Examiner, Clackamas, Oregon. The examination revealed that the cause of death was the result of blunt force chest trauma. The FAA's Civil Aeromedical Institute in Oklahoma City, Oklahoma, performed toxicology testing on the flight instructor. The test was negative for carbon monoxide, ethanol, and tested drugs. Acetone, which was not quantified, was detected in the blood. Testing for cyanide was not performed. On July 2, 2015, an autopsy on the pilot receiving instruction was performed at the Office of The State Medical Examiner, Clackamas, Oregon. The examination revealed that the cause of death was the result of blunt force chest trauma. The FAA's Civil Aeromedical Institute in Oklahoma City, Oklahoma, performed toxicology testing on the flight instructor. The test was negative for carbon monoxide and ethanol. Testing for cyanide was not performed. Pheniramine, a drug commonly used for hay fever, was detected in the urine but not in the blood. During the investigation, several of the helicopter's components were retained by the NTSB IIC and subsequently shipped the NTSB Materials Laboratory in Washington, D.C., for examination. The components included the impeller that was attached to the starter ring gear assembly, the drive adapter, the drive shaft assembly, remains of the bump stop, and a grease sample from the engine cooling fan. The impeller was attached by twelve bolts and nuts to the starter ring gear assembly. All the blades on the aluminum fan assembly were fractured at the root portion. The impeller fractured completely around the circumference in the areas near the twelve attachment bolts. Bench binocular microscope examination of the fracture faces on both assemblies contained a rough texture on a slant fracture consistent with overstress separation, with no evidence of a pre-existing crack, such as a fatigue crack. The drive adapter's surface contained a blue/gray tint, and isolated areas of the adapter contained scale; both conditions are consistent with a steel part that had been exposed to heat. The outer surface contained a dent. The drive adapter contained an inner spline, with several of the spline teeth having exhibited severe inward deformation and gaping cracks in the general area that corresponded to the dent. The spline teeth were intact and showed evidence of minor wear. Fragments of the mating spline teeth were found wedged in between the inner spline teeth. The drive shaft contained spline teeth on the forward and aft ends. The shaft portion between the forward and aft spline showed evidence of bending deformation. The as-received aft spline was covered with black lubricant (grease), and all of the spline teeth were intact. The rubber boot for the aft spline was partially torn, attached to the drive shaft, and covered with black grease. A sample of the black grease was removed from the aft spline prior to cleaning and retained. No further work was performed on the grease sample. The aft spline teeth completely around the assembly showed evidence of minor wear. The forward spline was dry, exhibited a light brown oxide film consistent with iron oxide, with no evidence of grease. The rubber boot (a component that is used to retain grease) was not attached to the forward end. The forward spline exhibited severe wear and deformation damage that extended beyond the root of the spline teeth. The forward and aft ends of the forward spline completely around the spline exhibited metal squeeze out (metal flow that extended forward and aft). The root radii between the spline teeth were not visible. A circumferential-radial section was made through the forward spline. Examination of the section revealed that the spline was worn beyond the root of the spline teeth. Examination of the aft spline revealed that all of the teeth were intact. The surfaces of the aft spline teeth exhibited minor wear. A circumferential-radial section was made through the intact aft spline. Examination revealed that the core of the shaft contained a microstructure of tempered martensite, typical for a quench and tempered steel, and the surfaces adjacent to the spline teeth contained a darker band consistent with a carburized surface treatment. According to the representative from Sikorsky, the spline teeth are specified to be carburized to a depth of between 0.02 inch and 0.04 inch. The hardness of the carburized layer is specified to be between 57 HRC and 61 HRC. The carburized layer was to have a minimum hardness of 56 HRC at a depth of 0.002 inch below the surface. The measured hardness values adjacent to the spline surface were consistent with the hardness values specified for a carburized surface. The drive shaft is specified to be made from steel per the composition indicated in SAE-AMS 6425. The polished section from the drive shaft was analyzed with a Thermo Scientific Niton XL3t-980 X-ray fluorescence (XRF) portable alloy analyzer. The alloy analyzer indicated the drive shaft contained 1.31% manganese, 0.383% chromium, 1.85% nickel, 0.449% molybdenum and 0.242% copper, consistent with the elements specified for the drive shaft. The core portion of the plug was missing, but the outer circumferential portion remained intact throughout its circumference. The circumferential portion of the plug was covered with black deposits, and revealed no evidence of a fracture feature. It exhibited a smooth surface consistent with an aluminum alloy that had fused and re-solidified. Bench binocular microscope examination of the grease sample revealed the grease contained evidence of solid particles (fragments). On July 1, 2015, about 2215 Pacific daylight time, a Schweizer 269C helicopter, N2096W, was destroyed by impact forces and a postcrash fire as a result of a hard landing during an emergency autorotation near the Chelaham Airpark (17S), Newberg, Oregon. The certified flight instructor and student pilot received fatal injuries. The helicopter was owned and operated by Precision Flight Training Incorporated, of Newberg. Visual meteorological conditions prevailed at the time of the accident. The local instructional flight was being operated in accordance with 14 Code of Federal Regulations Part 91, and a flight plan was not filed. The operator reported the flight departed 17S about 2200. A witness, who is a helicopter mechanic, reported that after observing the helicopter depart to the northwest of the airport at about 500 ft above ground level, he heard the engine roll back (power reduction), which was followed by the helicopter starting an auto rotation. 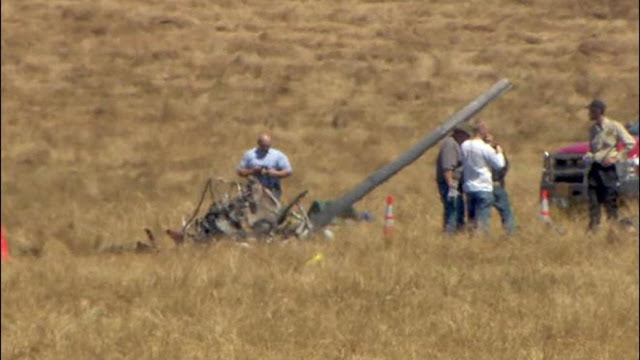 The witness reported that he heard the main rotor blades flutter, and then heard the engine rpms increase, followed by hearing the drive belts squeal prior to the impact. A second witness, who was located at the departure airport, stated that he heard a high-pitched squealing noise, similar to that of an ungreased belt on a car, followed by a sound similar to a backfire. The witness opined that prior to the accident he heard the helicopter operating at the airport, and at that time there were no audible concerns with the helicopter. A postaccident survey of the accident site revealed that the helicopter impacted terrain upright on a southerly heading, and subsequently came to rest in a somewhat upright position oriented on a northerly heading. With the exception of the tail boom, tail rotors, tail rotor gearbox and associated components, and two of the three main rotor blades, the helicopter was destroyed as a result of impact forces and thermal damage. The helicopter was recovered to a secure facility for further examination. 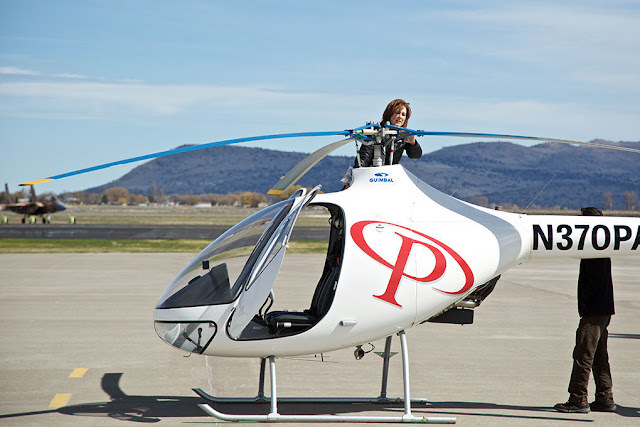 Amber Forest, a Klamath Community College student in the aviation science program, inspects the rotors on a Guimbal Cabri G2 helicopter at Precision Aviation Training flight school on Wednesday. Justin Walker, flight instructor for Precision Aviation and student at Klamath Community College, shares all the specs on the aviation program's certified training helicopter, the Gumbal Cabri G2. The aircraft is designed to be durable and efficient for training students. Hovering high above the Klamath Basin is where Klamath Community College student and Precision Aviation flight instructor Justin Walker likes to be. At speeds of 80 knots, equivalent to roughly 90 miles per hour, Walker has accumulated about 300 hours of flight time and is set to be one of the first graduates of KCC's aviation science program, which partners with Precision Aviation for training. The program has experienced an influx of students in the last year, with 25 students compared to 10 at this time in March 2015. The energized aviation program is evolving through a number of efforts. One, the institution plans to help ease the financial burden on students associated with the cost of tuition; two, the program is now training pilots for the aviation industry in one of the most modern training aircraft in the world: the Guimbal Cabri G2, which is distributed by Precision Aviation, based in Newberg, Ore.
Walker landed with ease on the lawn of the institution on Wednesday, attracting a small crowd of onlookers interested in the aircraft. “It's the difference between driving grandma's old beater car or a nice new Jaguar,” Walker said. Walker joined the program in 2014 and is looking forward to a career in the industry. He has already taken jobs fighting fires from the air in California as well as instructing KCC students in flight training as one of Precision's helicopter instructors. “When you're in the air pretty high, it doesn't feel like you're moving super fast,” Walker said. “It's a pretty cool feeling to get off the ground, especially in a helicopter where you can hover and kind of just float. You get used to it but it's still exciting every time,” he added. 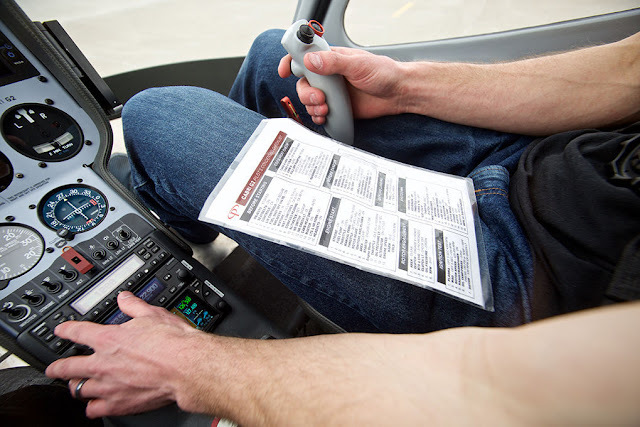 Justin Walker, a student and flight instructor in the Klamath Community College aviation science program, goes through items in the instrument panel of a Guimbal Cabri G2 helicopter before taking off on a flight at Precision Aviation Training flight school on Wednesday. When it comes to earning an associates of applied science degree through the program, Walker emphasized, “It's not a job for someone who just wants to float by” in the academic sense. Students enrolled in the helicopter training program at KCC learn to fly high in a class all their own. “We don't do group lessons,” said Nigel Cooper, director of training and chief flight instructor for Precision. “This is all individualized, one-on-one. “Everyone learns a different way and one of the things you have to do in the cockpit as an instructor is adapt your way of instruction to the personal attributes of a student,” Cooper added. Each student at KCC trains in a Cabri G2, a light and durable aircraft powered by a high-inertia rotor system. The aircraft is lauded for its design that caters to efficient training. The program put the helicopter into the training curriculum in March 2015.
Cooper and Walker praised the Cabri G2 for meeting stringent European design requirements and for its ease and efficiency in training pilots. “It's quiet, it's smooth, and the big thing is, it makes you comfortable knowing the aircraft was designed for training,” Cooper said. The helicopter has a composite construction, Cooper said, a stronger material than aluminum used in other aircraft. The Cabri G2 is also designed with the flight student in mind. Nigel Cooper, the director of training and chief flight instructor at Precision Aviation Training flight school on Wednesday. Cooper puts an emphasis on the risk involved in the training “as long as man defies gravity." "Most of the students coming into this game are aware of the hazards involved,” Cooper said. Part of training is learning how to identify these risks and prepare for them, specifically hazards which may arise during night flights. “Part of the ground curriculum is understanding the human factors associated with flying,” Cooper added, referencing the physiological limitations involved. The company is familiar with the risks of flight on a personal level. On July 1, 2015, a Precision Aviation instructor and Klamath Community College student living outside the Klamath Basin died when the Schweizer 300 the men were flying in crashed near Chehalem Airpark in Newberg during a night flight. Flying at night is part of the curriculum. The cause of the crash is still unknown, according to the report, but witnesses therein described hearing a "high-pitched squeal" in the aircraft before the crash. “You never get over something like that,” Cooper said. “Everyone involved in that accident will carry those feelings for the rest of their lives. In reviewing what happened, there's always some areas of improvement … you have to learn from something like that and try and reduce the chances of something like that from happening again." Cooper emphasized the quality and level of training the program remains beyond what's expected by the Federal Aviation Administration standards. Cooper has flown as a former engineer and pilot with The Royal New Zealand Air Force everything from search and rescue operations and battlefield support to counter terrorism and fighting wildfires. His are experiences that have made for an exciting career, and experiences he can draw from to teach the next generation of pilots. Training certifications in helicopter aviation through the KCC program costs more than $100,000. Cooper said the program is trying to make the opportunity more accessible to those willing to put in the time and effort. “We're working with some financial institutions at the moment to try and develop a student financing program outside federal funding,” Cooper said. 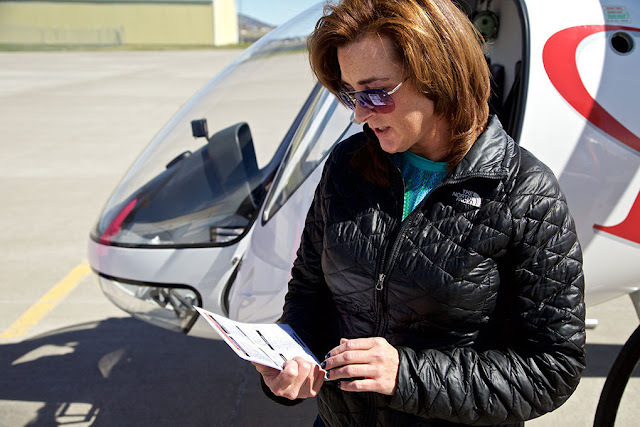 Amber Forest, a Klamath Community College student in the aviation science program, looks over her preflight checklist for a Guimbal Cabri G2 helicopter at Precision Aviation Training flight school on Wednesday. Due to alleged abuse of G.I. Benefits that have occurred at other flight schools in the country, Cooper said the rules have tightened for veterans looking to earn their training for free. For many students, the experience, regardless of the cost, is priceless. Amber Forest, a 45-year-old veteran and adrenaline enthusiast, is the only woman of 25 students training to be a pilot through Precision Aviation. She's so far logged about 25 hours toward the 100 hours needed when she completes the program. Forest said she logged many hours helicopter passenger hours during her service in the U.S. military, but only since September 2015 has she gotten a taste of what it feels like behind the controls. “I've mastered a car, I've mastered a motorcycle,” she said. Piloting a helicopter is next on her list. "I've always loved flying," she said. “You've got to do it before you die." By the end of the program, Forest will have earned six licenses and will have close to 100 or more hours. Students training to be helicopter pilots are required to complete 91 credits, including 17 credits of general education requirements, during the two-year program to obtain an associates of applied science degree in aviation. Forest joked that when she “grows up,” she'd like to serve as a helicopter pilot for law enforcement or for a news organization. “You have to be highly motivated to come into this program,” Forest said. Cooper emphasized the company's significantly high job placement record for those who complete the program. “If we don't take a graduate on, it's not the end of the line for them. There are lots of opportunities,” Cooper said. To learn more about the program, contact aviation program lead James “JR” Scott at 541-880-2263 or by email at scottj@klamathcc.edu. 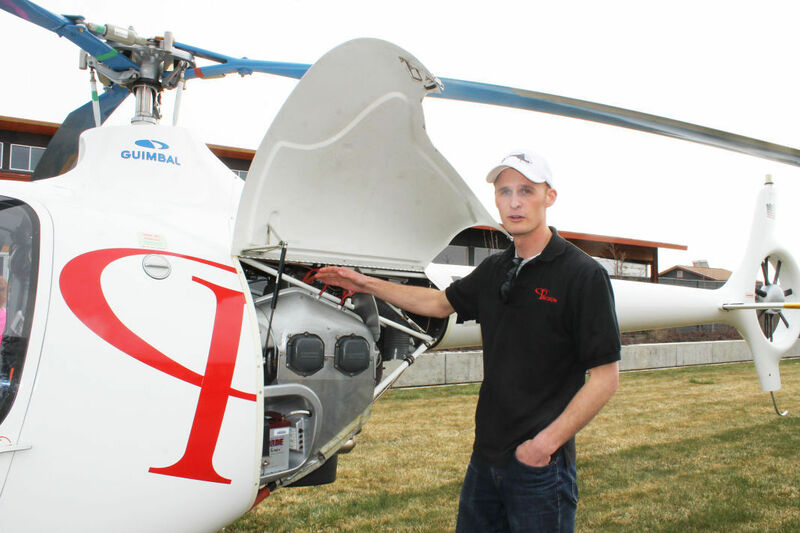 It's been nearly 10 months since a Precision Aviation helicopter piloted by flight instructor Anthony Gallerani — with Klamath Community College student Kristian Blackwell on board — crashed in a night flight in Newberg on July 1, 2015. Gallerani and Blackwell received fatal injuries from the crash near Chehalem Airpark, according to the public preliminary report. The report does not name the men in the flight but acknowledges two fatalities. The incident is still under investigation by the National Transportation Safety Board (NTSB) and a cause for the crash has not been determined. A final report is expected soon. The document states the report, like any preliminary report, may contain errors. “Now it's the waiting game for the final report, which will hopefully bring some closure as to what happened, but it may not. It might not be conclusive,” said Nigel Cooper, director of training for Precision Aviation and chief flight instructor. A NTSB report explains that the helicopter in the crash, a Schweizer 269C, an equivalent to a Schweizer 300C, was destroyed by the impact of the aircraft and a post-crash fire as the result of a hard landing. The preliminary report can viewed online at http://ntsb.gov/_layouts/ntsb.aviation/brief.aspx?ev_id=20150702X24434&key=1. “The local instructional flight was being operated in accordance with 14 code of Federal Regulations Part 91, and a flight plan was not filed,” according to the report. Two witnesses to the incident, including a helicopter mechanic, refer to hearing a “high-pitched squealing noise” prior to the impact of the aircraft. The mechanic, not named, reported hearing the engine “roll back (power reduction)” which was followed by the helicopter “starting an auto rotation.” The witness then heard the main rotor blades “flutter” and then the “drive belts squeal” prior to the impact. “The initial part of the inquiry involves Precision and the FAA (Federal Aviation Administration) reviewing our procedures,” Cooper said. The months since the incident have been ones of reflection for the company. Cooper said Precision staff traveled to the East Coast following the crash to visit family members affected by the incident. “We still continue to help those involved if they ask for it,” Cooper said. “We see that as really important in helping them get through the process. We're all in it together. Precision Aviation President David Rath has indicated in an article by Vertical Magazine that all Precision aircraft are considered safe. The Guimbal Cabri G2, which is distributed by Precision Aviation, is considered the most modern and efficient training helicopter for training use. The Cabri G2 has replaced the Schweizer 300 for the KCC program. "We want to provide highest level of safety to our students," said Justin Walker, Precision flight instructor and KCC aviation student. "It's something to keep in mind, that accidents can happen and that you need to be safe when you're flying. 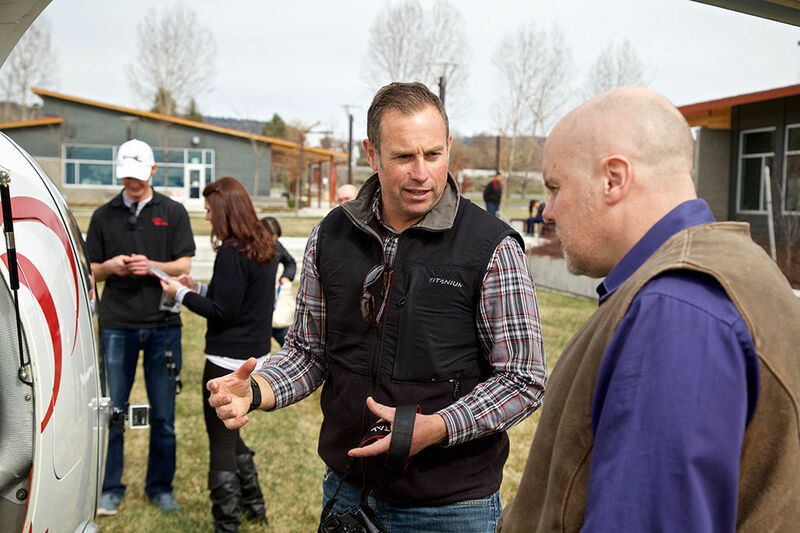 The training that we give our students and that Nigel provides is top-knotch."